This winter is once again extremely brutal in Europe. Extremely heavy snow has fallen as far south as Greece in the range of even 3 to 5 feet in various places. This is the third year of extreme cold in Europe which has been fueling more resentment about global warming taxes. Once again, Europe has been thrown into economic chaos for much of the region is not able to cope with snow lacking the historical experience. Meanwhile, scientists have revealed that the oceans are still getting colder at deeper levels in a slow-moving trend that was set in motion by the last Little Ice Age. The idea that the oceans have been retaining the heat so that is why the planet has not warmed up as forecast 30 years ago flies in the face of those ideas as well. A new report by the Department of Energy’s Lawrence Berkeley National Laboratory (Berkeley Lab) examined the headwater regions of California’s ten major reservoirs, representing half of the state’s surface storage, discovered each could experience a 79% decline in peak snowpack water volume by 2100. Berkeley Lab used supercomputers to investigate current warming trends and carbon emissions. Scientists analyzed how a future warmer world would affect “snowpack upstream of 10 major reservoirs — three in Northern California, three in Central California, and four in Southern California. The reservoirs are Shasta, Oroville, Folsom, New Melones, Don Pedro, Exchequer, Pine Flat, Terminus, Success, and Isabella,” said The Mercury News. By 2039 to 2059, the snowpack runoff could drop by 54%, the study determined, and then 79% from 2079 to 2099. The study noted that three northernmost reservoirs, Shasta, Oroville and Folsom, could see an 83% reduction, by 2100. Alan Rhoades, a postdoctoral fellow at Berkeley Lab and lead author of the study, said his team of researchers found that peak runoff could come four weeks earlier by 2100, at the beginning of March rather than April 01. “So as the world continues to warm, these storms will get even warmer and won’t readily get to freezing, whereby you could have snowfall or snow accumulation and the persistence of snow on the surface,” he said. As a result of warmer weather, the amount of snow is projected to decrease while rain could increase. The study noted that it did not look at rainfall, only mountain snowpack. “Winter has gotten off to a fast start across a majority of the United States, particularly across the Northeast. Early season snow plagued I-95 in mid-November, bringing New York City it’s earliest 6” snowfall on record. Record cold blanketed the region on Thanksgiving, partly causing a rapid spike in natural gas prices. Cold also likely played a role in retail performance over the holiday weekend. While most see a reprieve from cold over the next 7 days, another blast of arctic air is expected later in the first week of December across the eastern U.S., which may further complicate energy market movement going forward,” said Ed Vallee, head meteorologist at Vallee Weather Consulting. According to the Accumulated Winter Season Severity Index (AWSSI) also known as the “Winter Misery Index” from the Midwest Regional Climate Center, 74 metro areas from New England to the Plains and Rockies have experienced cold and snow that generally would not occur until January. AWSSI index computes the “intensity and persistence of cold weather, the frequency and amount of snow and the amount and persistence of snow on the ground (wind and mixed precipitation are not a part of the index),” the Midwest Regional Climate Center said. El Nino conditions are quickly developing across the central and eastern equatorial regions of the Pacific Ocean, with meteorologist now indicating a high chance of development by December. Warmer-than-normal temperatures for most of the country are expected, according to NOAA’s Climate Prediction Center’s official winter weather forecast released Thursday. El Nino is a massive ocean-atmosphere climate event linked to a periodic warming in sea surface temperatures across the central and east-central Equatorial Pacific waters. The swings between warmer and cooler waters in the tropical Pacific are the primary factors for either El Nino (warmer seawater) or La Nina (cooler seawater), which government meteorologist watch closely in determining the North American winter weather forecast. Warmer-than-normal conditions are expected across much of the northern and western U.S., with higher probabilities of warmer temperatures in Alaska and from the Pacific Northwest to the Northern Plains, Halpert said in a statement. The forecast does not show any region in the US below-average temperatures for the season. Much of the Southeast, Mid-Atlantic, and Ohio Valley regions will remain within average ranges. Halpert said wetter-than-average conditions are favored across the southern tier and Mid-Atlantic, with the highest odds for above-average precipitation in northern Flordia and south Georgia. It is not looking very good for the winter ahead. A reader from Calgary sent this picture in about the early snowfall up there. Indeed, Calgary just experienced the Snowiest Day in More Than Three Decades. It Broke an October Snowfall Record. Of course, they will call this Global Warming as well. This is just a taste of this winter to come. Already, the data is now in for September. 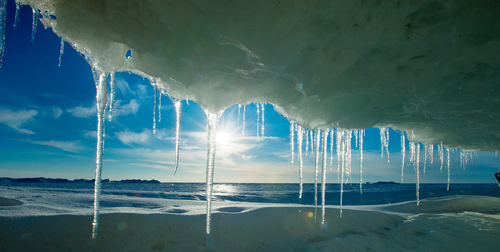 The world just had the coldest September for a decade, according to the latest satellite measurements by the University of Alabama at Huntsville. Naturally, mainstream media will not cover this story. They only like to report how we are destroying the planet and everything is all our fault. 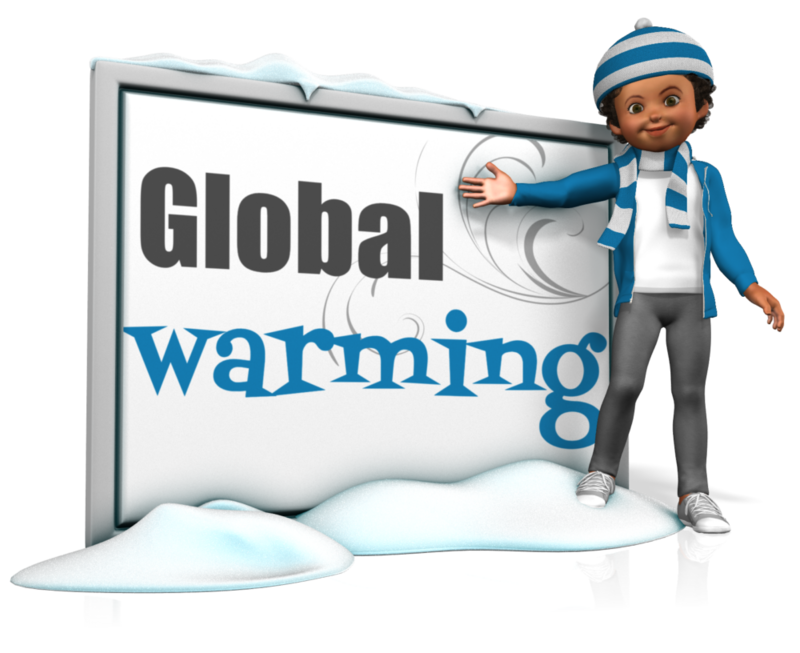 Since the governments have handed out $1 billion for these people to create Global Warming forecasts to justify more taxes, there is not a cold day in hell why they would even give us $5 for a correlation study that shows the opposite. Why fund something that does not produce more taxes? Well, besides growing food in your basement, perhaps you should buy a sewing machine to make long-underwear to sell to the neighbors when they realize it’s getting colder rather than warmer. My friend Alex is in Chamonix in the shadow of Mont Blanc in the French Alps. He sent some very snowy pics and mentioned that it was fair dinging down. The most snow since 2010. Knowing that sunspot cycle 24 was well-advanced I did some checking and came across a web site called Weather to Ski that had some amazing pics of big snow. One picture in particular caught my attention. See inset and below the fold. 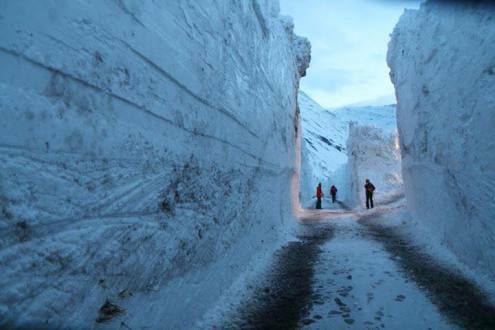 Figure 1 Huge snow depth in the Alps. It is possible that the snow depth here is influenced by the road, snow blowers piling snow up along the route, and also drifting snow getting trapped in the ravine. But still, 8m is a lot. A cross country skier would be confronted with enormous difficulty crossing this road. It looks like the snow in this drift is ~ 8m deep. And this is in the valley, not in the high basins where the snow fields that feed the glaciers lie. Now it’s obviously far too early to begin to draw any conclusions. But IF we get a run of 3 or 4 winters that dump this much snow, it is not inconceivable for me to imagine Alpine glaciers once again beginning to advance. I’m totally unsure how long it takes for pressure in the glacier source to feed through to advance of the snout. So what is going on? 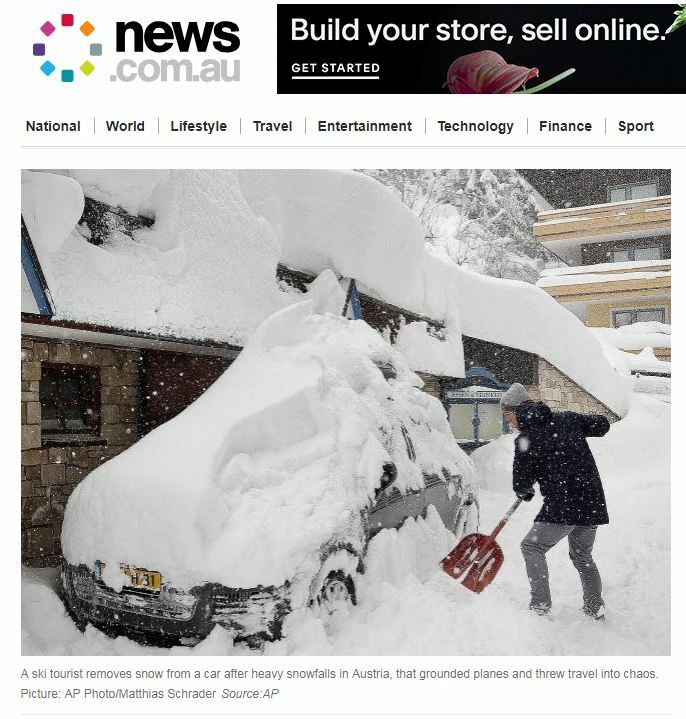 We’ve been told by climate scientists that snow would become a thing of the past. We’ve also been told that global warming might lead to more snow and less snow. And we’ve been told that warming might even lead to cooling. 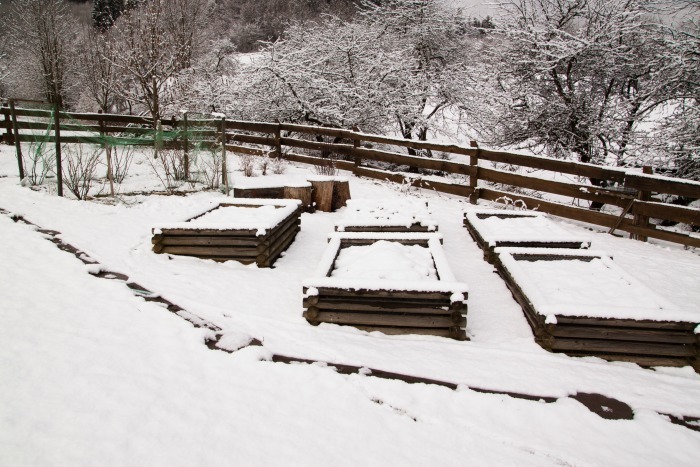 All of the snow accumulation from the extreme temperatures occurring through the country could be doing your garden some good. That right, folks snow is great for the garden! Snow cover protects plants from harsh, drying winter winds which can freeze the ground and damage the root systems of shrubs and trees. In fact, without snow, cold weather could freeze the soil and further damage root systems in trees. You could say that snow it acts like an insulating blanket, and in wintertime, who doesn’t want an insulating blanket to stay warm? It works by trapping pockets of air that hold in heat for the plants. Mother Nature is a wondrous thing! Beneath one foot of snow, the soil and the organisms within it are protected from changes in the air temperature above the snow surface. The moist surface of snow influences how much heat and moisture circulate between the ground and the atmosphere. For every inch of snow, you get 1 R-value of insulation. (R-value is a way to measure insulation). Although the R-value can vary with the type of snow, you can get a good idea of how insulating this really is to the garden. The University of New Hampshire’s Department of Natural Sciences states that snow contains nutrients that penetrate into the soil and does some good for the plants that will grow in that soil later on in the year. Nutrients include nitro­gen (most prevalent), along with some sulfur and other trace elements. Studies even claim there are more of these nutrients bound up in snow than in the corresponding amount of rain. We’re starting the New Year off with a bang in the form of Winter Storm Grayson. The next weather threat heading our way is a phenomenon called a “bombogenesis.” This occurs when a system’s central pressure plummets dramatically — “24 millibars or more — in 24 hours” according to Bloomberg. Basically, it’s a hurricane. A winter hurricane. The same high winds (up to 80 mph) and the same precipitation, but with snow instead of rain. Because what could be more exciting than a hurricane and a blizzard all rolled into one kick-bootie storm? The entire East Coast is at risk, from the northern part of Florida all the way up into Canada. The Southern US will get some snow and wind on Wednesday, and New England will be hit hard on Thursday. …ice has already formed on fountains in some southern cities, including Savannah, Georgia, and Charlotte, North Carolina. In northern Florida and southern Georgia, a dangerous mix of snow and ice are in the forecast for Wednesday morning. Through Wednesday the low pressure will ride up the East Coast, bringing a wintry mix of snow and ice through Georgia, South Carolina, and North Carolina. The storm will strengthen as it moves north overnight Wednesday. By Thursday morning, there will be heavy snow across the Mid-Atlantic coast, including Philadelphia and the New Jersey shore. The Mid-Atlantic is forecast to have about 3 to 6 inches of snow, with lower amounts inland and higher amounts near the coast. UPDATE: Record breaking snow falling in upstate New York. Pennsylvania. 40,000 people in Cleveland lost power overnight. In freak conditions, Canadians (and many people in the US too) are getting a chance to enjoy record cold for the last time before climate change makes winters unbearably mild. The coldest ever in Scotland was apparently only – 27C. (-16.6F). And for southerners, “CFS Alert” is the worlds most northern inhabited place, deep into the Arctic, and beyond even where Inuits would live. Today, by the way, in midsummer the South Pole warmed up to -18C. On Tuesday, the city of Erie, Pennsylvania signed a declaration of disaster emergency, after a two-day storm dumped 5-feet of snow. 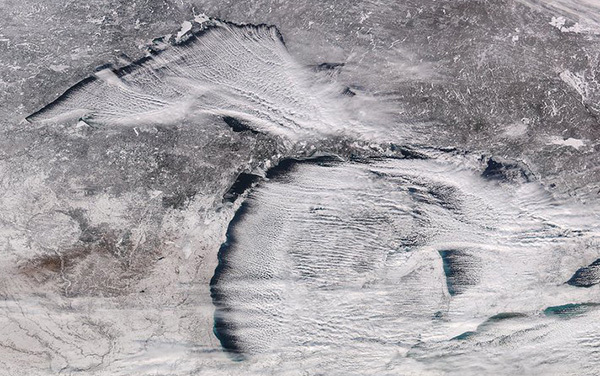 Heavy lake-effect snow set record-setting snowfall totals in the snow belts to the east of Lake Ontario and Lake Erie. all of the snow fell on Monday and Tuesday. Erie, PA: One resident’s house is barely recognizable with over 5-feet of snow. Erie, PA: Brave man dreams about baseball in the chest-high snow. Erie, PA: Resident is trapped within the home upon opening the door to over 5-feet of snow. Is A Major Winter Blast Coming To The East Coast This Christmas? As BAMWX.com notes, the pattern is about to change in a huge way and it may begin on #Christmas eve! Accumulating snow is on the table between Dec 24th-Jan 5th in a big way. B.C.’s Haisla First Nation ordered the evacuation of Kitamaat Village and its 800 residents on Saturday night, three days after the community lost power following a major snowstorm. Many residents are staying at the Kitimat Riverlodge Leisure Centre, about 15 kilometres north in the town of Kitimat. Others are staying with family and friends. The small towns of Kitimat and Terrace were hit with heavy snow earlier this week — nearly two metres of snow from a Pineapple Express weather system was dumped on the region. The record for a 24-hour snowfall, set on Feb. 5, 1961, was 112 cm. 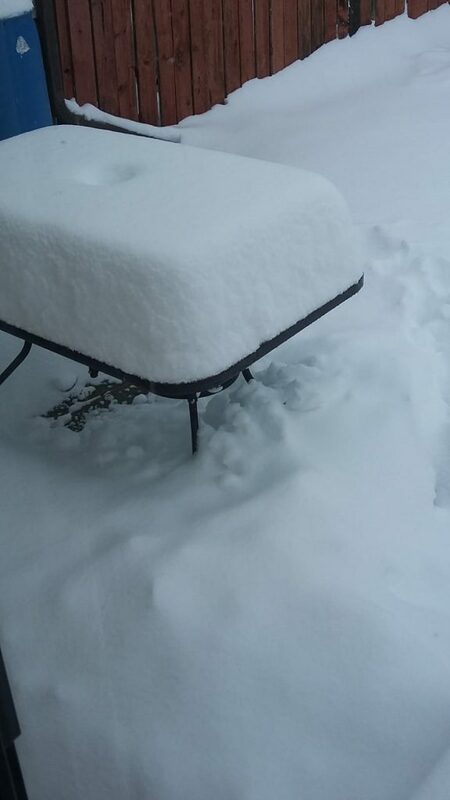 Weather officials say Kitimat came close with 109 cm of snow in a 24-hour period. In a notice posted to Facebook on Saturday, Haisla First Nation chief councillor Ellis Ross warned of a short timeline for the Sunday morning evacuation — the road in and out of the village would be open for just three hours. “If you have the means to get to town or somewhere else besides Kitamaat Village, please be gone before 8 a.m. PT. Anytime after 8 a.m., don’t even try. The crews will be working and there will be no traffic allowed,” the notice said.